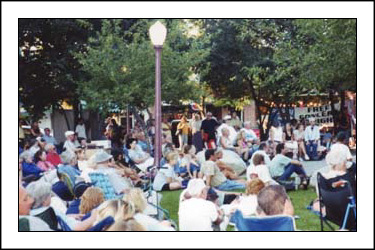 2017 is going to be another summer of great Concert Series in North Idaho with the starting dates as follows: in Hayden at McIntire Family Park (Formerly Hayden City Park) on June 28; in Coeur d’Alene at Coeur d’Alene City Park on July 1; and in Downtown Coeur d’Alene at Sherman Square Park on July 10. The fund-raising has been completed and the bands have been hired. Directly above this paragraph, you will find links to each of this year’s concert series, showing their schedule of bands and the sponsors that provide the funding for these free concerts. Please contact the sponsors of this year’s concert series and let them know how much you appreciate their contribution. You can find their addresses and phone numbers by clicking on a concert location above. Once there, you can click on the sponsor ads and, in many cases, you’ll be taken to the sponsors’ web sites. Once you’re at their web site, you will be able to contact them via e-mail. And since you’re at their web site, browse through and, just maybe, you’ll find that they have a product or service that you need. If you, your business, or your civic group would like to be a sponsor of the 2018 concert series, or if you would like to make a contribution to the general fund, please Contact Handshake Productions or call us at 208.667.3162 for more information and details. Since 1992, Chris Guggemos from Handshake Productions has organized these free, family friendly concert series. After more than 20 summers, these concert series have become one of the most anticipated community events of the summer. In addition to this season’s concert locations, Handshake Productions has, in the past, also produced concert series in Blanchard, Post Falls, Rathdrum, Spirit Lake, and Deer Park, Washington. Every summer, Handshake Productions hosts some of the best musical entertainment in the Inland Northwest. Over the years, the concert series have featured Rock ‘n Roll, Rhythm & Blues, Country-Western, Salsa, Bluegrass, Big Band Swing Orchestras, Irish-Celtic, and much, much more – and it’s all absolutely free! 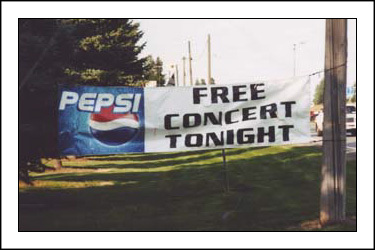 With concerts all over North Idaho, people from many of the surrounding areas have a chance to attend the free concerts. Handshake Productions is able to organize these free concerts because of the generous contributions and support from our awesome sponsors. Please contact the sponsors of these concert series to let them know how much you appreciate their contribution. You can find the sponsors’ addresses, phone numbers , and web sites by clicking on the following concert locations and scrolling down to the concert posters.